FILO shells, sweet glaze for berries, top with whipping cream or meringue! Thanks for the suggestion and quick response, Amy! 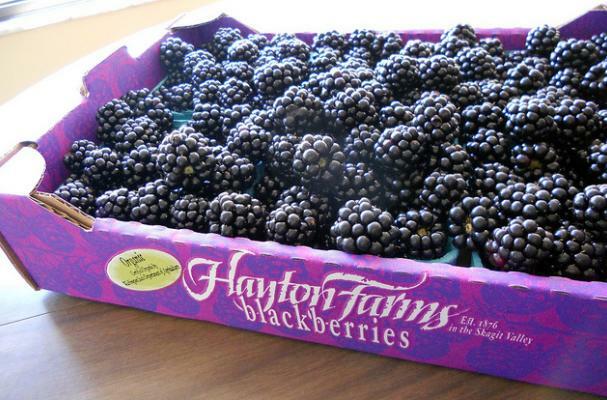 I am going to cook the blackberries with lime juice, fresh ginger, and honey until it is compote-esque. Then I will cool and serve over ice cream with some granola for crunchy contrast. Stop by! Oh this Compound sounds so great. That is what I miss so much about living in Boston's famed South End neighborhood - the ad hoc random block parties popping up all over where everyone is always welcome. We are trying to foster something similar in our new neighborhood here in Riverside (WalkScore: 97) but it is an uphill battle since generosity and openness isn't in the Florida DNA yet. Jameson, how did it turn out? Sounded yummy and I just happen to have fresh ginger in my fridge, will have to try today! You and the champers would have been a welcome addition. The dessert turned out fantastic; we enjoyed it while playing a riotous round of Apples to Apples. Jameson - that does sound pretty cool! I was also thinking how great a Kir Royale would pair with that dessert. In the old days in Boston back when I was single (queue the sad violin music) I would organize a huge Valentine's Day bash every year for all the other inexplicably single guys in the neighborhood and serve flights of 10-14 different champagnes along with exotically bizarre desserts like frozen raspberry soufflés, wine-poached pears with white chocolate and candied violets, and espresso brownies frosted with gold leaf. Oh man I am totally making cobbler next time! A simple recipe that results in a classic. sip provider trying to divide including new jersey senators.